We had an issue with our Panasonic NN-P994SFR Genius Inverter 2.2 cubic feet counter-top microwave oven. Initially, it would draw too much power and cause our breakers to trip. At first I thought it was because we were sharing the circuit with some other appliance but that wasn;t the case. This happened twice, tripping the breaker each time but continued to work on a breaker reset. On the third time, the LED display didn't show any life and that was that. My wife called a friend with some background in electronics and he suggested replacing the fuse. That sounded like a great idea and he said he would come over and have a look. He brought his ohmmmeter and we opened the microwave oven. Continuity tests showed that the fuse indeed blew and he asked if I had a spare. 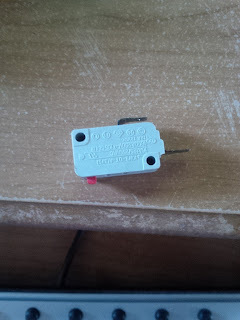 I said I would have to go and buy one so in the interim, he completed the circuit by tying thin strands of wire to the ends of the blown fuse. We put the covers back and plugged in the microwave oven. The LED display showed promise but when we put it to test, we didn't hear the familiar sound of delicious radiation nuking our food. It didn't work. 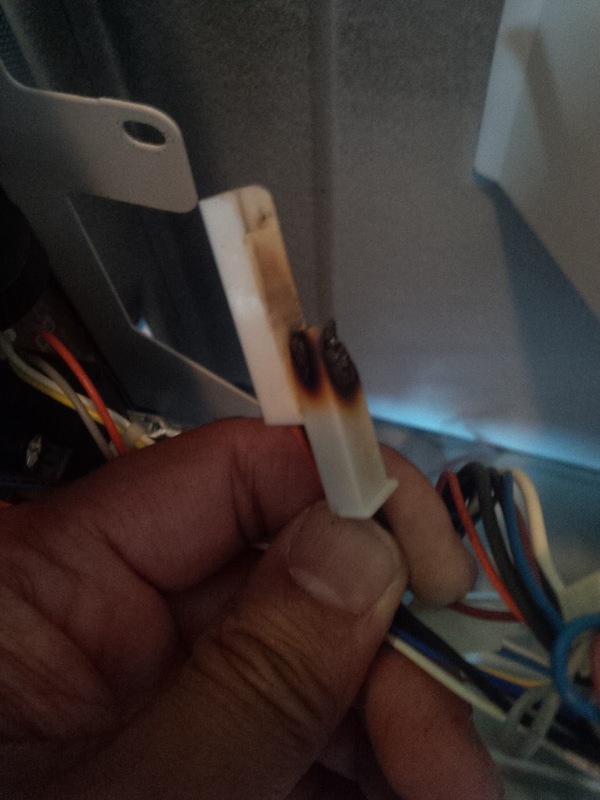 I also thought that bypassing the fuse wasn't such a good idea anyway because it blew for a good reason. I remember running into the same problem a year or so ago where the LED power just went cold after playing around with the microwave door latch. I thought I would do some research into it further. We closed it up and I said I would buy a replacement fuse in the next few days. In the meantime, we shopped around for a replacement microwave oven of the same 2.2 cubic feet capacity but found out that the biggest counter-top was now at 1.6 cubic feet. We went to WalMart, Canadian Tire, and The Brick where we initially bought this Panasonic model. Nothing. My wife really liked this NN-P994SFR model so I decided to channel my inner MacGyver and fix it myself. I reopened the microwave oven and found that there was some burnt wiring on the connectors to a switch attached to the door latch switch. Aha! I called Trail Appliances in Surrey and they said that they go through Reliable Parts http://www.reliableparts.ca for part orders so I went ahead and ordered the three switches. The Power Relay was on back order so I didn't order that. And as for the fuse, I already purchased that from Canadian Tire for under $4. All in all, the parts totaled about $16. When the parts came, I sliced off the burnt portion of the wire connecter and plugged that into the new micro switches. It all came together and worked. I was ecstatic because we saved a ton of money and got to keep a a 2.2 cubic feet counter-top microwave oven which is now hard to come by. I hope we get a few more years out of this Panasonic model. Moral of the story here is: "Don't nuke your food too much, or you may become dependent on it".